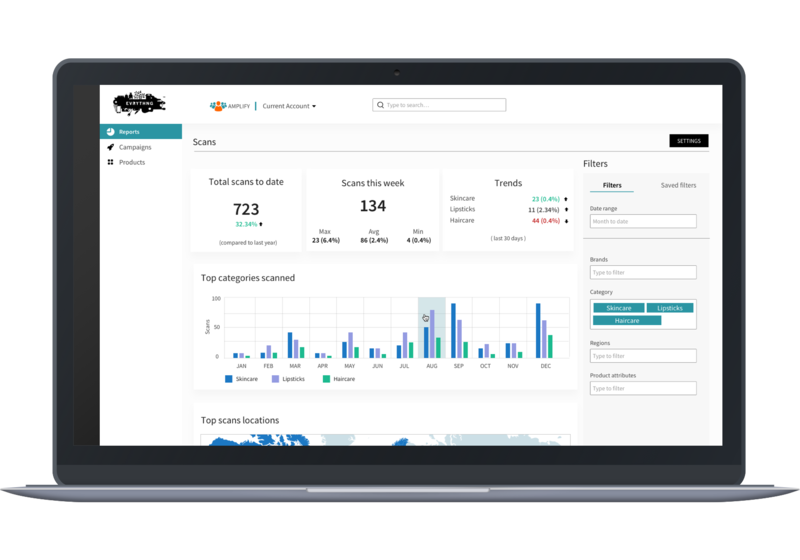 ACTIVATE provides a complete tool set to manage digitized products at scale: analytics dashboards, application and security management, data integration and sharing with enterprise systems and blockchains. ACTIVATE applies data structure, interoperability and continuous real-time intelligence to physical products. Unique product items connect to the web with an Active Digital Identity™ using GS1 standards and any label or tag type. Bulk-creation of serialized identities with the GS1 Digital Link, integrated with factory and printing processes, for BornDigital™ products. 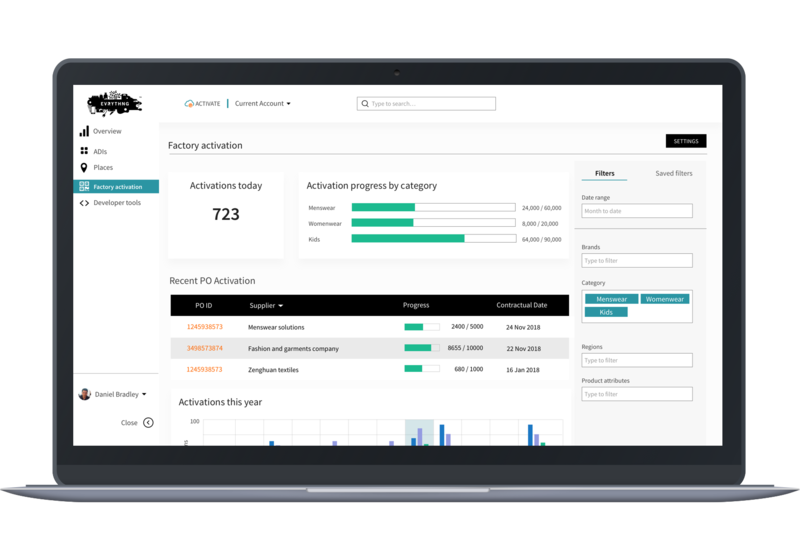 Dashboards and alerts for tracking products throughout the lifecycle, from factory creation to consumer engagement. APIs and tools to import, integrate and share traceability data from blockchains, enterprise and manufacturing systems. 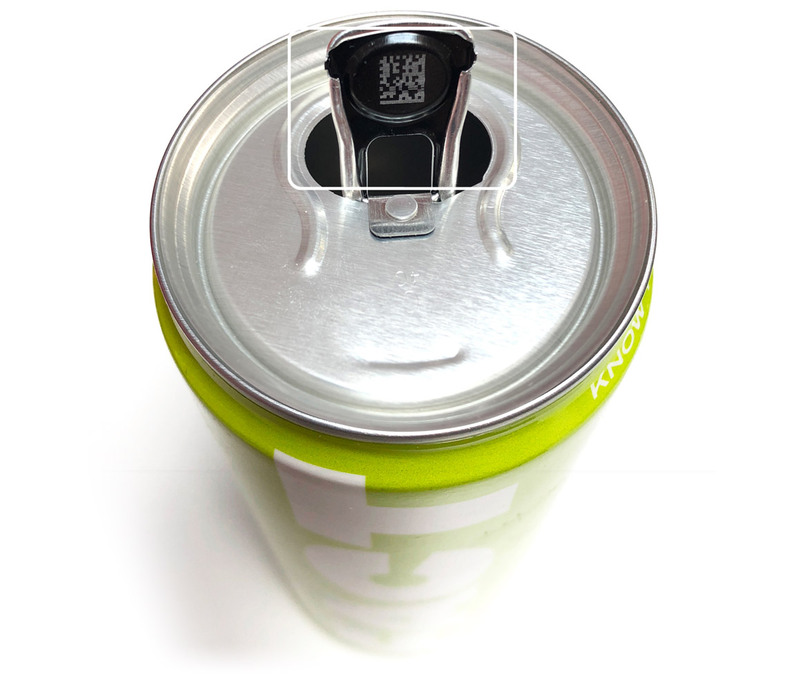 Works with any type of product packaging, codes or tags and uses your existing GS1 identifiers. Eradicates data fragmentation by aggregating and managing serialized product information in one place. Connects products into the wider digital ecosystem to drive supply chain integrity and direct-to-consumer applications. 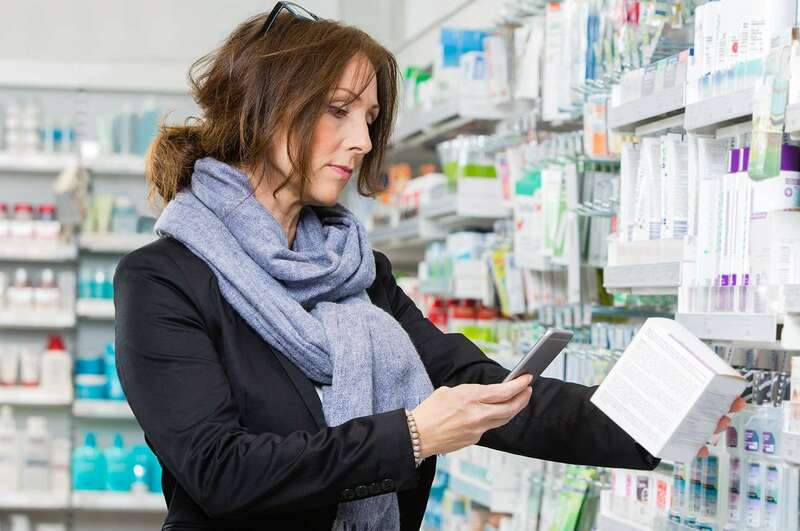 The world’s barcodes and product tags are upgrading to be web-connected thanks to the new GS1 Digital Link standard, which uses technology developed by EVRYTHNG. Now every product item can drive applications and generate valuable data for your business throughout its lifecycle. A global leader in apparel and footwear branding, labelling and RFID solutions, Avery Dennison RBIS partnered with EVRYTHNG to digitally enable 10 billion items for the apparel and footwear industry. A leading provider of paper and packaging solutions, Westrock recognized that for brands to compete in the digital age they need first-party consumer data and real-time insights into production, distribution and the customer experience. 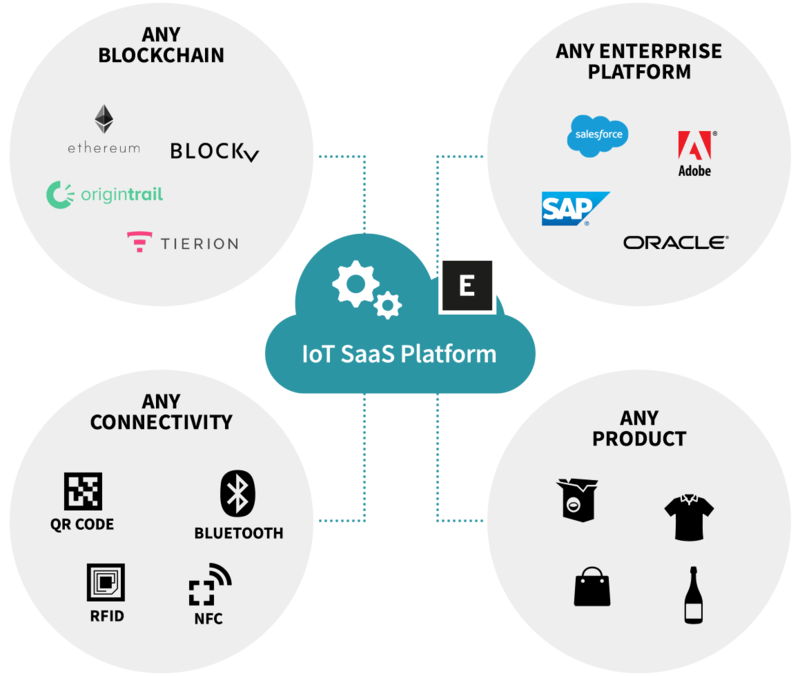 They teamed with EVRYTHNG to deliver revolutionary solutions built around smart connected packaging.